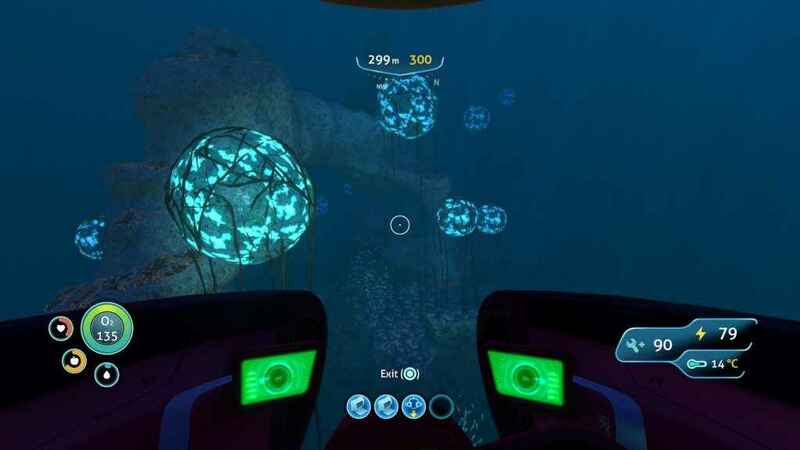 Like all survival games, Subnautica starts on the worst possible event of the player’s life: explosions, alarms, a mad dash for the lifepods, and a narrow escape. Trapped on an alien planet, alone, with no supplies, and limited food and water… or should I say, potable water. Because there is no shortage of water. In fact it’s all around you, which is where Subnautica’s twist hits you right in the face; you open your lifepod’s hatch and look at the flaming wreckage of your starship as it slowly sinks into the ocean. An ocean which stretches to the horizon in all directions, and whose unknown depths you will have to explore in order to have any hope of survival at all. Even the most gentle looking sea-creature can sometimes be an acid cloud spewing abomination. Thalassophobia is defined as the intense and persistent fear of the sea or of sea travel, including fear of being in large bodies of water, fear of the vast emptiness of the sea, of sea waves, and fear of distance from land or the surface. I had to look up this definition, because if I didn’t have Thalassophobia before, Subnautica makes a good case for it being perfectly rational. After the harrowing first minutes of Subnautica, it quickly becomes clear that the player is very much on their own in terms of survival and progression. At first with only a basic air tank and no equipment the player can only venture down to the shallowest of waters in order to find crafting materials, fishing for sustenance and useful wreckage from your ship that can be scanned for technology blueprints. Even then, your tentative forays into the deep will be accompanied by the constant awareness of your oxygen gauge as you desperately try to forage for enough food and potable water to survive. The experience is intentionally disorienting, as your only points of reference are your lifepod and the twisted remains of the Aurora still burning in the distance. Once you dive beneath the surface it’s easy to get turned around and lose your way. It’s even worse if you are exploring a dark underwater cave when you realize that you only have 30 seconds of air, and that disorientation quickly turns to panic as a wrong turn in the tunnels could mean the difference between life and death. The waters all around you teem with life, full of many different species of fish and plants. Only some of these lifeforms are actively trying to kill you. In fact, the beauty of the environments may be the most dangerous hazard of all, as it holds your attention, just as your Oxygen meter ticks relentlessly downward. 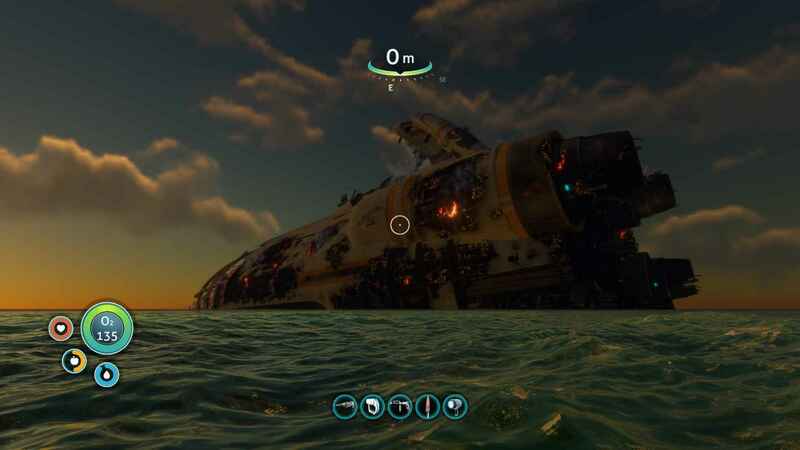 During the first few hours of Subnautica, there is scarcely a moment where you aren’t balanced on the knife edge of survival, and only through a concerted effort can you stave off death’s watery embrace. A little paint, some putty, put out the fires maybe. Good as new. The game doesn’t hold your hand or overtly instruct you how to proceed either. Information you gather, or messages you receive are archived in your datapad, allowing you to recall important information. Gathering minerals and salvaging scrap metal will allow you to create rudimentary tools in the lifepod’s replicator. Any known crafting recipes also stored in your datapad so you’ll always know what materials are needed. You can fabricate equipment like fins to help you move faster underwater and craft special suits to improve their durability (or protect you from radiation!). The fabricator will also allow you to cook fish, purify water, and craft your starting tools like the Scanner and the Habitat Builder. One thing that you’ll notice immediately is that there are no options to build any kind of guns, only a simple survival knife. You will be able to cut plant samples or kill small fish, but your only defense against the larger predators will be to run and hide. Its called a Boneshark, for Pete’s sake. How friendly do you think it’s going to be? The Scanner will allow you to scan any fish, plant, or resource, providing you with background information on what your target is and how it can be used to benefit yourself. You can also use it to scan the components of devices found in the wreckage. Once you have enough parts scanned to replicate the whole device, the blueprint will be added to your datapad and you will be able to create it. At first you will locate and create simple objects, like beacons to set waypoints, or a laser welder to allow you to cut through sealed doors in the underwater wrecks, but the first major step forward will be the creation of your first vehicle: the Seamoth. This tiny submersible is the workhorse of the seas; fast, nimble, and most importantly a mobile source of oxygen, that frees you from the constant tether of the surface. When your air grows thin, the welcoming illumination of the Seamoth’s spotlights will guide you back to safely. 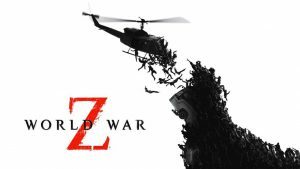 This is a welcome replacement for the terror filled drive to claw for the sky above, racing the implacable oxygen gauge and the darkness that slowly takes over your screen. 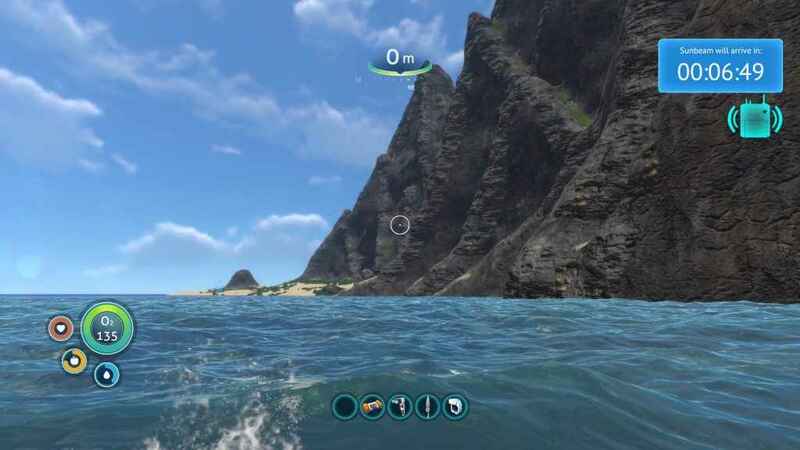 This accomplishment marks the point at which Subnautica truly opens up and the player can grasp the scale of the game. The Reefback Leviathan is a placid beast, their gentle calls echoing through the depths as they sing to each other. Even as new freedoms are earned, new limitations are quickly discovered. 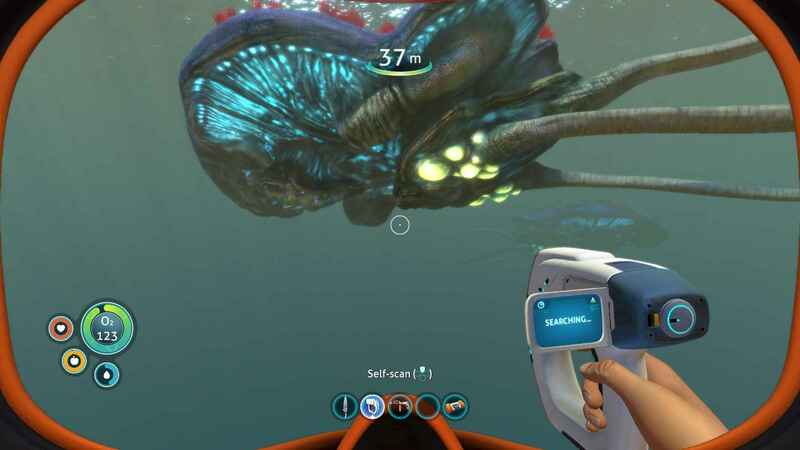 The Seamoth’s starting crush depth is a scant 200m. In some areas this is only enough to suspend the ship over yawning chasms of dark water, while immense forms move through the murk below. Be grateful if they glide beneath you, unaware of your presence. Indeed there is nothing quite so traumatic as your first unexpected encounter with a Reaper Leviathan, except perhaps for the subsequent realization that there are even more substantial threats that lurk in the fathomless waters below. Once the tiny confines of your lifepod begin to chafe, enterprising players can make use of their Habitat Builder to construct a more permanent base beneath the waves. Even the simplest passageway with a single solar panel can provide air and shelter, and more importantly, hold an abundance of storage lockers to greatly increase the player’s capacity to stockpile basic materials and provisions. Add exterior or interior growbeds to cultivate useful crops for food or raw materials, or even to fuel a Bioreactor if your base is deep enough that solar panels won’t generate electricity. Alternatively, exploit a lava geyser and build a Thermal Plant to generate free power and save your crops for eating! Through exploration, scanning, and finding the right blueprints, the seabase will become a sprawling home away from home which you can be proud of. Once you scan the appropriate technologies, you will be able to construct a Scanning Room which will provide a 3D map of the area, and find objects within its scanning range. By choosing a specific object type from its control panel, you can isolate a specific mineral, rocky deposit where resources can be excavated, wrecks that can be searched for useful technology, or just about any other useful material in the vicinity. You may upgrade the range of the scanning room, the speed at which it locates resources, or even construct a chip for your suit that will overlay HUD indicators for any of the scanned objects found to be in range, greatly facilitating locating them while in the field. 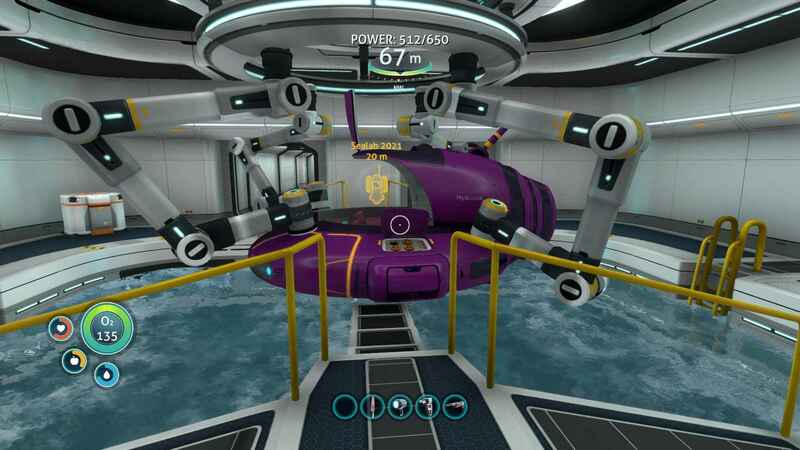 Add a Moonpool to the base, and the Seamoth will be able to dock and recharge while you wait. Add a Vehicle Upgrade Console to your Moonpool and you’ll have the ability to create special add-ons for your craft to increase its speed, durability, add sonar, solar panels, or even torpedoes! 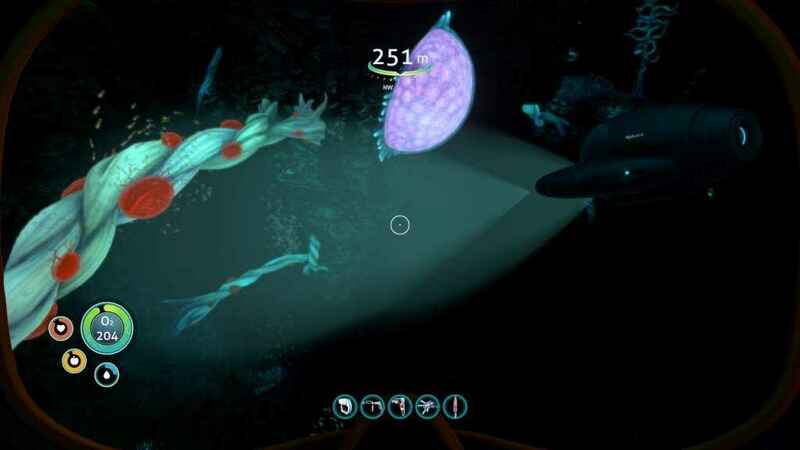 Last but not least, the Depth Module becomes available allowing the Seamoth to take the plunge even further into the unexplored trenches below. This little beauty can do the Lost River run in under 30 fathoms. Yes, I know that’s a unit of distance. Shut up, I know boats. If one base is not enough, then build another. Dot the sea floor with outposts if you have the resources to do so, or pursue a more mobile solution. Eventually it will become possible to construct the Cyclops, a massive submarine that is so large that it contains its own Moonpool to dock a Seamoth within it! 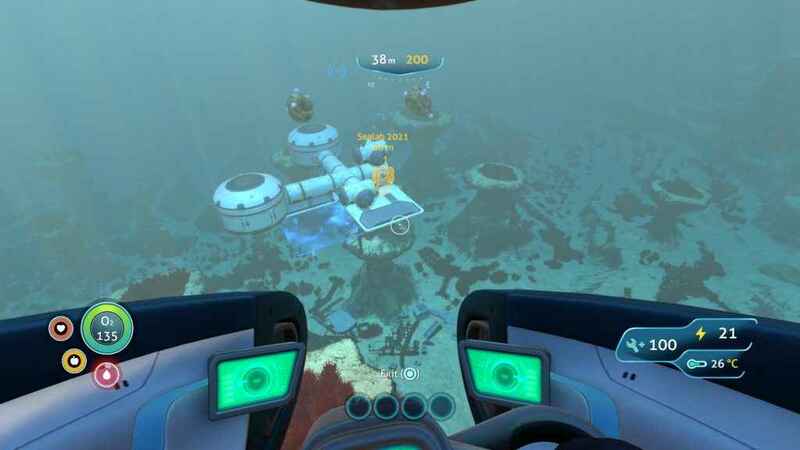 You can construct most equipment and storage containers inside the Cyclops, allowing you to take your base with you when you range far from home. To assist with obtaining the massive amounts of material required to build the Cyclops, you can instead first construct a Prawn Suit, a personal submersible mecha that can drill out large resource deposits and zip around rocky outcroppings using a grappling hook and winch. If you need the power of a torpedo in a confined space your Seamoth can’t reach, then the Prawn Suit has you covered. 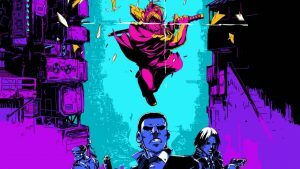 I’ve purposely been vague about the plot that gently threads its way through the game, and some of the events that occur early to preserve your experience. There are mysteries to be uncovered, and some rather significant twists that will complicate your rescue. Subnautica manages to strike an excellent balance between subtle guidance and environmental storytelling, that at once tells a compelling tale without overpowering the player or taking away their agency to explore and progress on their own path. Granted, some choices might have adverse gameplay affects if not addressed (remember how I mentioned radiation earlier?). These events are presented as consequences that can be dealt with, rather than a plot event that cannot be avoided. Subnautica not only rewards exploration, it demands exploration. Each biome in the game presents its own challenges, with unique flora and fauna to encounter and exploit, unlocking additional technologies based on their use. It can sometimes be overwhelming, rewarding the player that can effectively set their own goals and work towards them. Yep. I absolutely know what to do. And if I need help, I have a botany module in my database… or neurosurgery maybe? That said, there are times where the freedom granted to the player is overpowering and it isn’t clear how to proceed. Usually this can be rectified by reading the datapads recovered during your explorations, or re-reading any radio messages that you may have received, but it can still cause frustration. Particularly, if you are looking for a certain resource for a recipe, and you aren’t even sure where to look, or possibly even what it looks like. This sort of exploratory scavenger hunt might be old for those who are well versed in survival games, but it can be daunting to a new player. Additionally, though it becomes easier as you progress through the game to obtain and stockpile provisions, hunger and thirst are constant issues even in the end game, and for every extra water bottle or cooked fish you carry is one less item you can bring back from your travels. Inventory management is a continuous issue, particularly when you recover large items that take up four squares in your backpack instead of just one, forcing some hard decisions of what to bring back from your expeditions. Inevitably some common material that you abandon to make room for something else will suddenly become critically necessary for a new technology. A combination of the storage compartments on the Seamoth and the mobility of the Cyclops mitigate this somewhat, but vehicles have a damage meter for a reason, and it’s incredibly demoralizing to see clouds of recovered materials raining down around the wreckage of your vehicle. Which brings up the subject of death. Particularly early in the game, where suffocation and dehydration will be your constant companions, you will likely die frequently. When this happens, you will wake up in your lifepod or base, whichever safe area you last set foot in. You will retain all of your tools and equipment, but a portion of the materials that you had in your inventory will be ‘lost’. You can return to the site of your death to recover them, if you can find your way back there, but finding your way back to a specific location while your precious goods slowly sink to the sea floor can be challenging, especially since you aren’t given a waypoint to guide you. Here’s why this is relevant to the vehicle discussion: if you die while outside your vehicle, your craft will remain where you left it and you can use its waypoint to locate it again, but if your vehicle is destroyed, there is no longer a waypoint to follow, making any salvaging operation a dicey affair if you don’t happen to have a beacon on you. I’m going to have the most amazing Christmas tree this year. 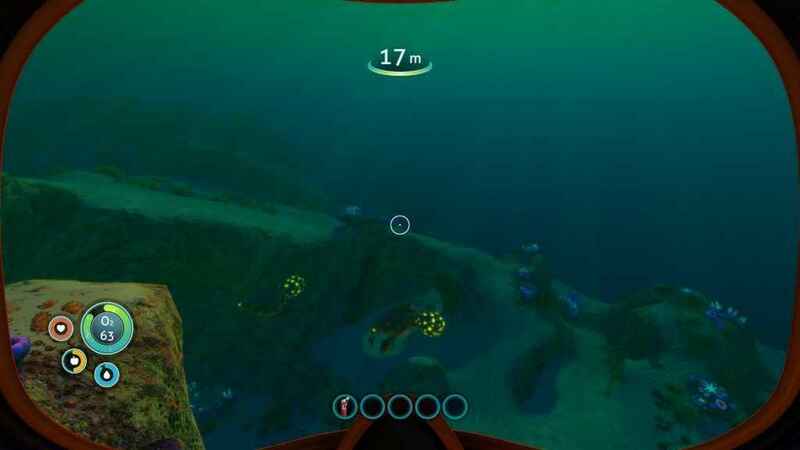 These negatives are minor, and aside from a few peculiarities about base component placement, I thoroughly enjoyed my time playing Subnautica. It manages to capture both the terror and wonder of the ocean, but never lets you forget that your survival is not a guaranteed prospect. The waters are familiar and alien all at once, beauty living side by side with danger at every turn. 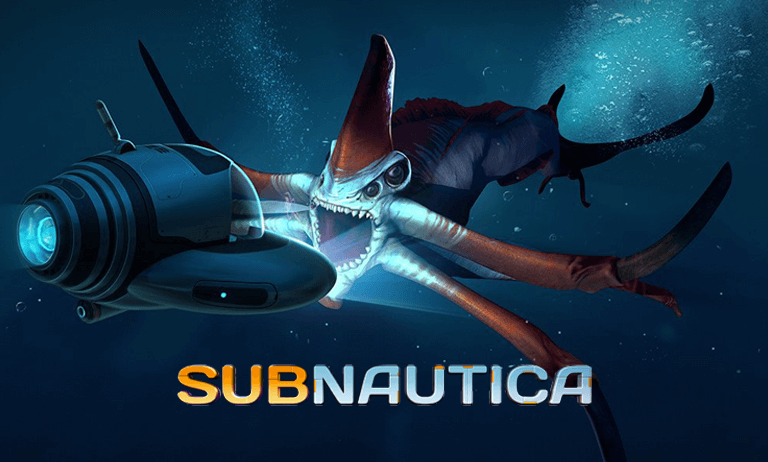 Just as you start to become comfortable, Subnautica will dump you in the deep end, unfolding yet another layer of the incredible mystery for you to explore. 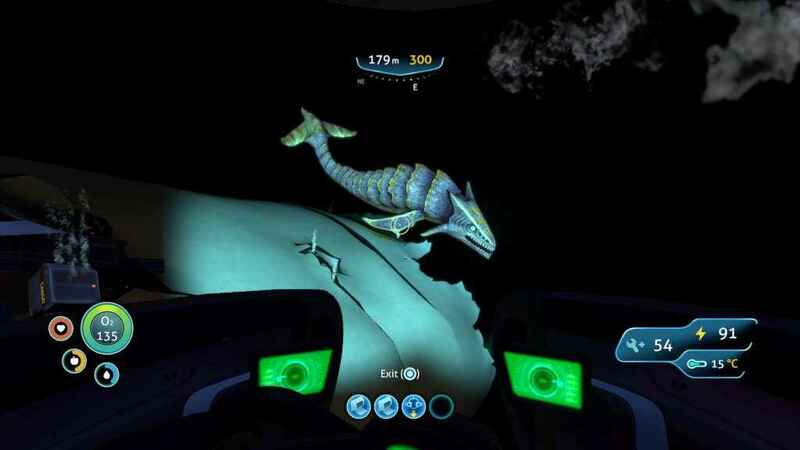 Subnautica’s literal and figurative hidden depths are well worth exploring, but tread carefully lest you disturb the eldritch terrors that cruise languidly below.